TAL products are used in many prestigious developments throughout the country. 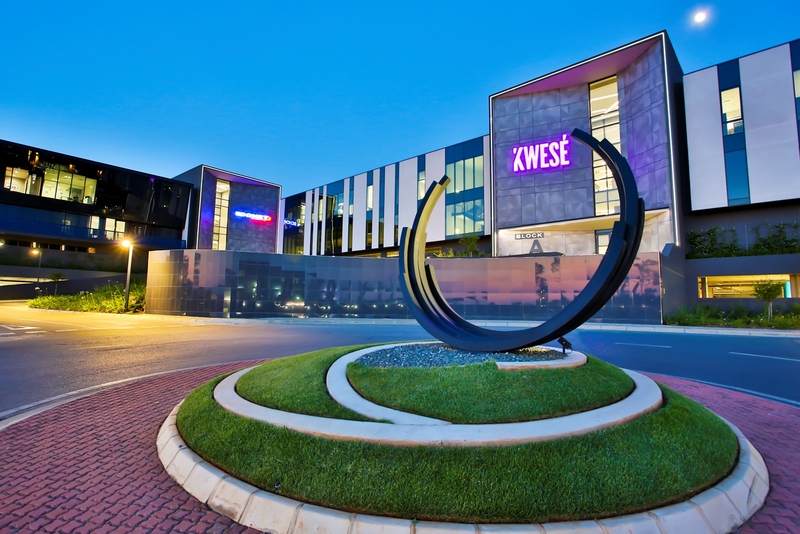 Projects such as the Soweto Theater, Building 11 and Audi dealerships attest to TAL’s ability to supply quality and fit for purpose products, develop innovative new products when required and to provide technical expertise on site. 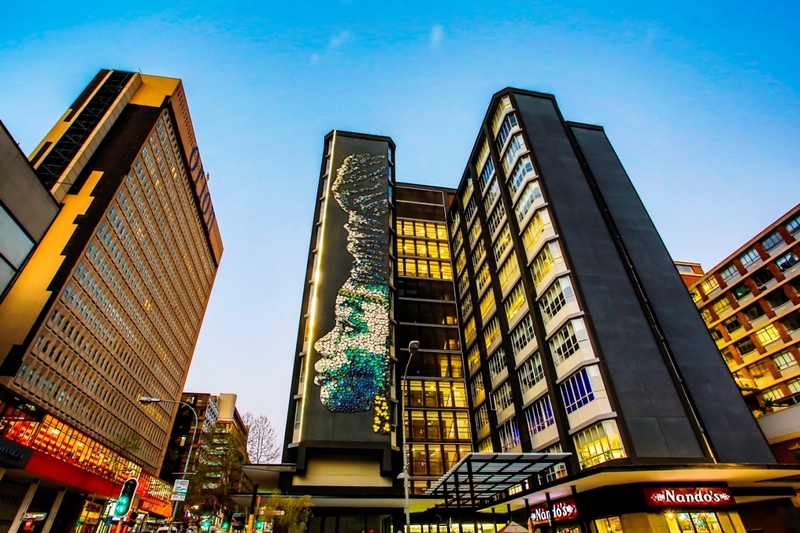 TAL is proud to have supplied a bespoke fixing solution for the Ndzundza/ Nzunza Portrait, a larger than life art installation on the west wall of City Property’s North City House in Braamfontein, now renamed Nzunza House. Both a suitable product and a technical specification for the installation was developed to accommodate both the thermal movement expected on the exterior façade, and to fix the crockery items which were pre-assembled onto a mesh backing, effectively creating a giant mosaic mural. The artwork was officially unveiled on Women’s Day, 9th August 2018. Read more about this project here. 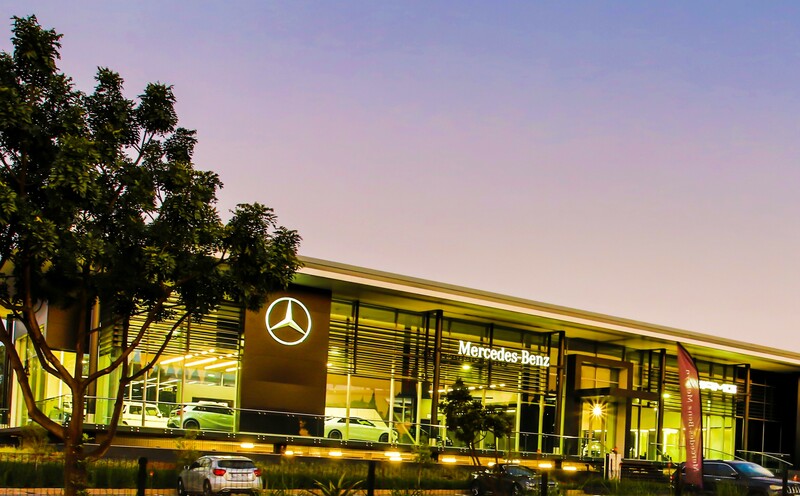 The dealership was still trading during the major refurbishment, so the decision was made to tile over the existing tiles. These were thoroughly cleaned and a primer slurry coat consisting of TAL Keymix powder primer and TAL Keycoat was applied before installing the new 600mm x 600mm black porcelain tiles. TAL Bond, in both adhesive and grout systems, gives flexibility for the extreme service conditions of heavy loading, shear force exerted on the tiles from turning car tyres and significant direct sunlight through the large glass shopfronts. Establishing new movement joints which extended all the way to the substrate, through both layers of tiles, is vital in a tile to tile installation. The large-format wall tile feature in the two triple-volume atria entrances at the Anslow Office Park used porcelain tiles in different sizes, varying from a massive 3 m x 1 m to 300 mm x 600 mm to create a ‘retro-concrete’ effect. Due to the large size, TAL Goldstar 12 was trowelled in a 3m² area in a single operation and the back of the tiles were back-buttered with TAL Goldstar 6 to form a single adhesive system. TAL Bond, allows for any thermal movements within the installation that may arise from sunlight shining through the large windows. TAL supplied flooring underlayment materials for the Christian Barnard Memorial Hospital in Cape Town’s Foreshore. The materials included; TAL VaporStop HB vapour barrier and TAL Screedmaster, to combat high moisture levels within the concrete slabs and to ensure the prepared floors were smooth and level; a requirement for the installation of the Polyflor Vinyl Sheeting. Regular site visits were conducted to monitor the installation as high moisture levels in the substrate adversely affect the performance and integrity of vinyl overlayments. TAL products are manufactured locally and developed and tested to suit the South African climate conditions. 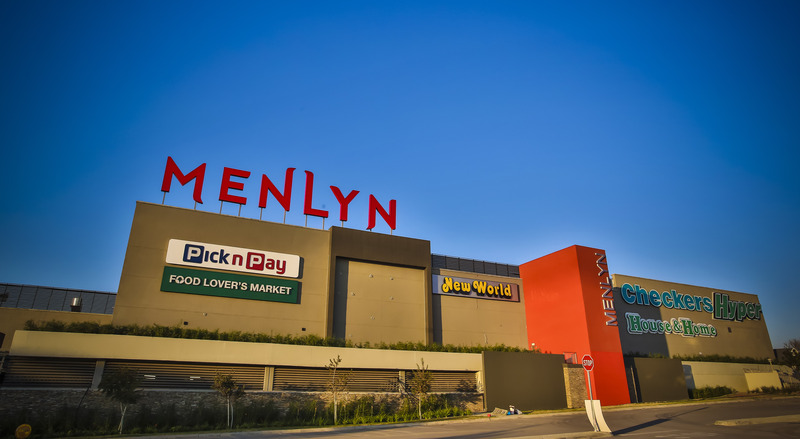 Leading tile and construction adhesives manufacturer TAL is proud to be supplying products for upgrading existing tiled mall walkways and ablutions at the Menlyn Park refurbishment. The project includes chipping out old tiles and replacing them with new 1.2 m by 600 mm porcelain tiles. In addition, repairs and remedial work had to be carried out to sections of the unbonded screeded substrate, which were found to be damaged after removal of the existing tiles. TAL has a range of rapid-setting, shrinkage-compensated screeds and patching and repair compounds for fast-track repairs to existing substrates. Products used here include TAL SlabPatch, TAL Rapidfix, and TAL Screedmaster.